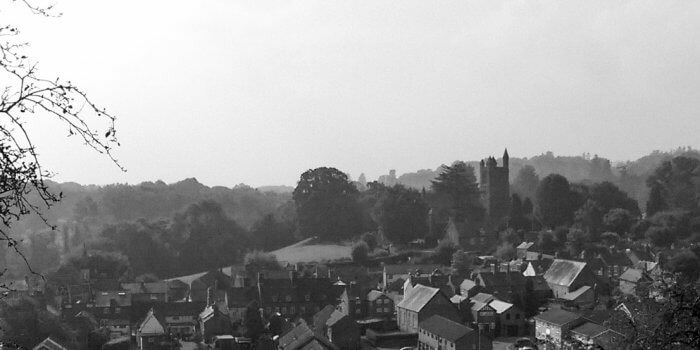 George Henry Pryce was born in 1896 in Llandyssil, Montgomeryshire. He was the son of Richard and Annie Pryce. 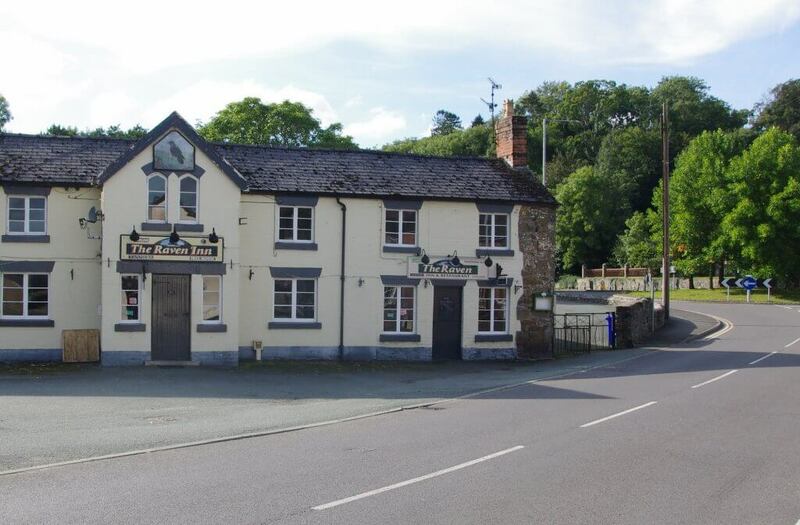 When George was a young child, the family moved to Welshpool and ran The Raven Inn. As George grew up he became involved in the family business, working as a barman from at least the age of 15. 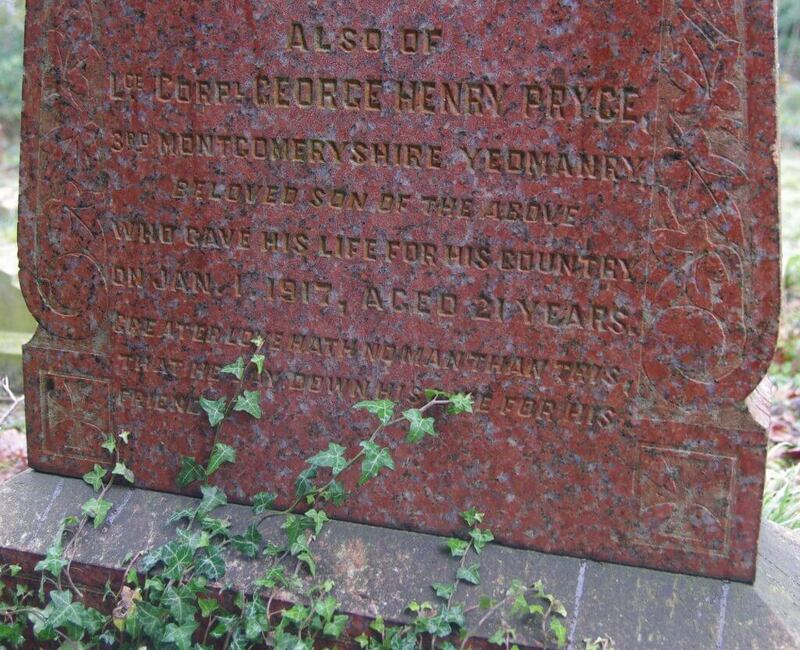 George’s father, Richard, died in 1912 when George was 16. It is probable that George helped his mother to run the inn and support his family. George wasn’t ‘called up’ until 1916, probably because he was supporting his family. 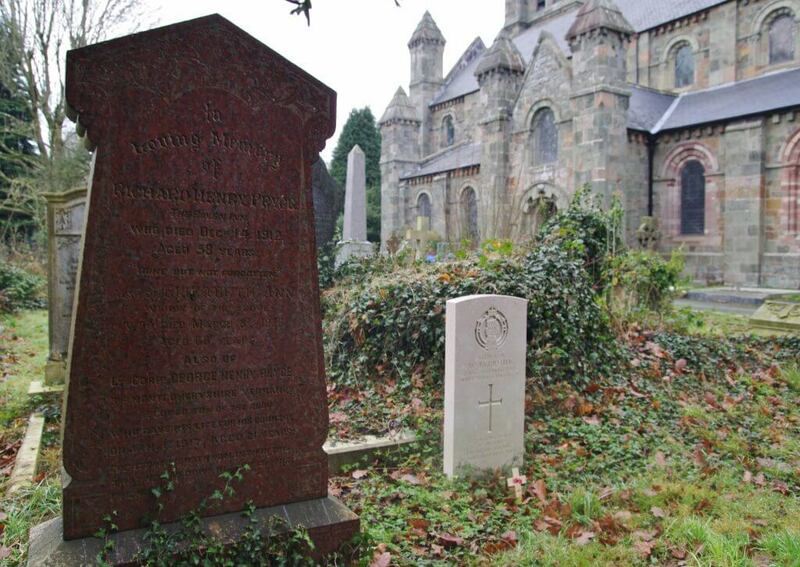 On 22nd January 1916 he enlisted to the 3rd Battalion, Montgomeryshire Yeomanry. In May 1916 he was promoted to Lance Corporal. On 20th December 1916, George embarked at Southampton to sail to Marseilles, France. On that same day he was transferred to the 15th Battalion Royal Welsh Fusiliers. At Marseilles, he boarded HT Ivernia, a troop transport ship, to sail to Alexandria, Egypt. George, along with 2400 other troops were sent there as reinforcements. 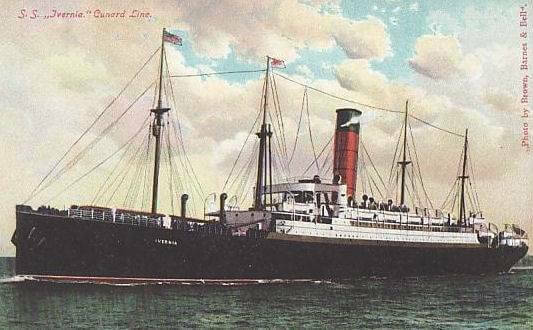 The SS Ivernia was an ocean liner owned by the Cunard Line. She was launched in 1899 and completed her maiden voyage from Liverpool To New York in April 1900. SS Ivernia was an ‘immigration ship’ carrying new settlers to America. She became a Troop Ship with the outbreak of war in August 1914, when she was hired by the Bristish Government. HT Ivernia left Marseilles on 28th December 1916 to sail across the Mediterranean to Alexandria, Egypt. At 10:12am on 1st January 1917 HT Ivernia was torpedoed by German Submarine UB-47. She was sailing in bad weather near Cape Matapan, Greece when she was struck. Approximately 120 people died, including George Pryce. George is commemorated on the Mikra Memorial in Salonika, Greece. 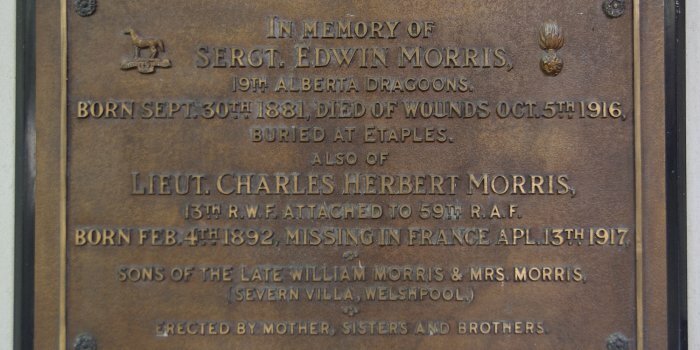 He is also remembered on the Montgomeryshire Yeomanry plaque inside St. Mary’s Church, Welshpool, as well as on the town’s war memorial. 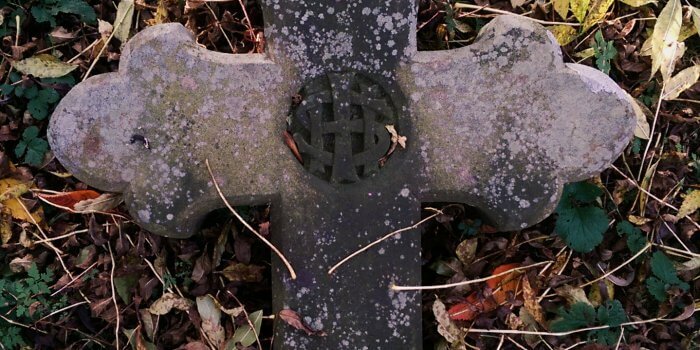 A detailed account of George’s story can be seen as part of the ‘Remembering the Fallen of the Great War at Christ Church’ exhibition. 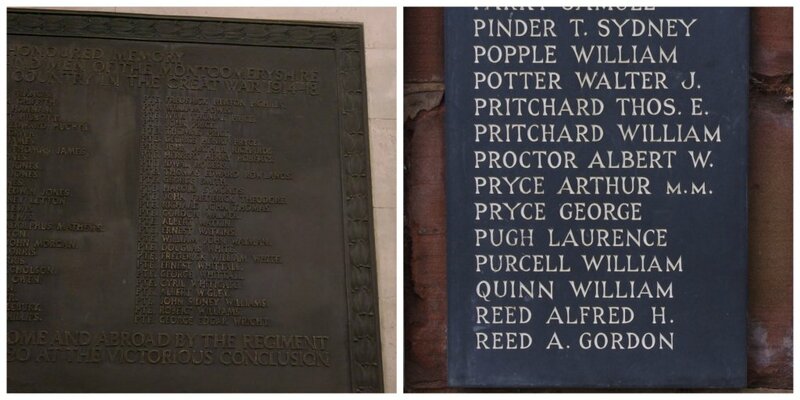 Previously published stories of WW1 memorials here at Christ Church can be seen here.